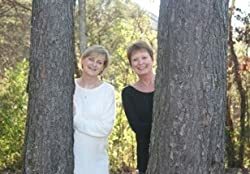 “We did our own cover for the first two books in our Appalachian Journey series, Whistling Woman and Moonfixer, but after they became best-sellers on Amazon, we decided we needed to go with a professional for the third, Beloved Woman. And boy, are we glad we did. Kim’s cover for Beloved Woman is gorgeous and she did so much more than we expected. From the series logo (which was her idea) to the layout of the front and back to the square cover required for the audio book, everything she did is beautiful and perfectly reflects the theme and setting of the books.. All we had to do was share some pictures of our main character with her and she came up with the idea for the cover, designed it and even gave us options (which we shared with our readers on our blog and Facebook page and let them vote for the one they liked best). When the choice was made, she sent us several pictures of the cover as an e-book and the full flat for the print version, and she included a logo for our publishing company, Spring Creek Press. This entry was posted in book cover design, Book Covers, Books, Cover Design by Kim and tagged author, book cover, book cover design, book cover photography, Books, Cover Design by Kim, testimonial on February 17, 2015 by KiM.